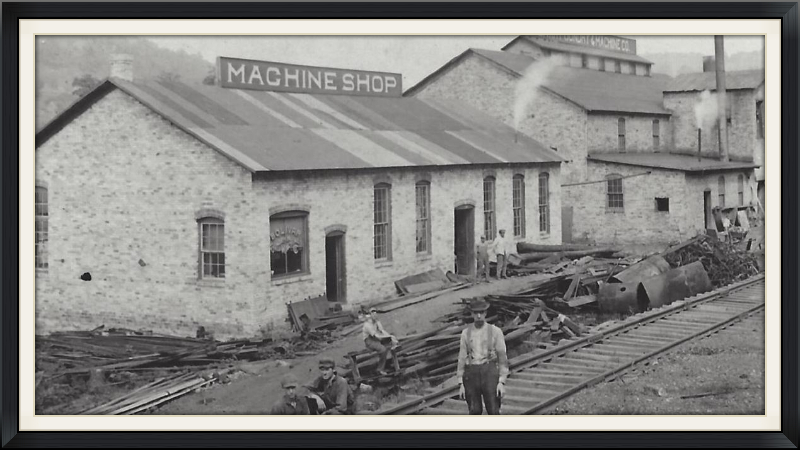 The Bolivar Foundry and Machine Company was built in 1912 along the banks of the Conemaugh between the two Railroad Arches. It was owned at the time by a Mr. J. Shields Miller. The foundry became a part of the Allegheny Foundry located in Pittsburgh. The foundry was in operation until 2003 when it was purchased by East Jordan Iron Works Inc who closed the facility. Prior to East Jordan Iron Works owning the property the site had several different owners who manufactured sub-arc welding wire and oxy-acetylene welding rods for various industries. The Foundry produced iron castings for the railroad and various municipalities. The storm drains in Bolivar bare their name. In fact the drain at the corner of 3rd and Washington still have the marks of the Foundry. It was rumored at one time the location was the site of a china doll factory. This location was also known as the Standard Steel and Wire Company. It was known to have been built on top of the Reese Hammond No 2 Brickyard. The mill fell into disrepair in the 1990's and was demolished in the early 2000's after several walls collapsed. Today is owned by the Mears Family. Although the wire mill has been torn down the one building still on the site is the mill office also known as the" Law Firm of Mears, Smith, Houser and Boyle "who on Wednesday evenings have office hours.